Bugslag, James. (2005). Pilgrimage to Chartres: The Visual Evidence. In Sarah Blick and Rita Tekippe (Ed. ), Art and Architecture of Late Medieval Pilgrimage in Northern Europe and the British Isles (pp. 135-183). Boston: Brill. 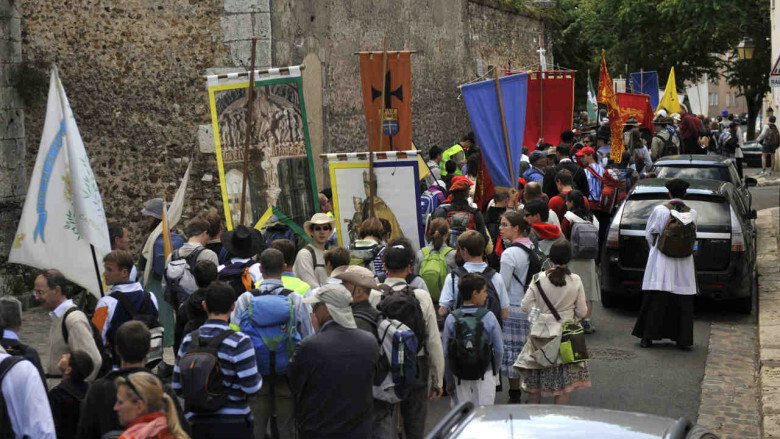 It took these student pilgrims three days to walk from Paris to Chartres. 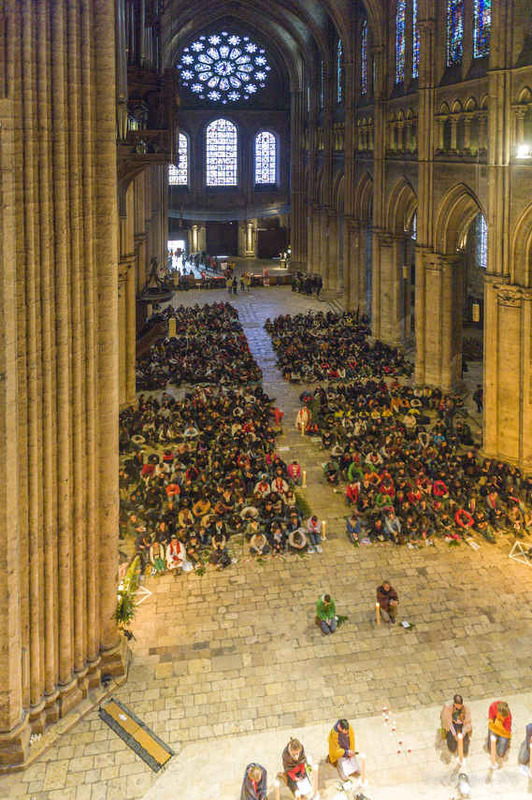 They are sitting on the floor of the nave (all chairs were removed to make space for them) waiting for a service to begin. Cousineau, Phil. (1998). The Art of Pilgrimage. The Seeker’s Guide to Making Travel Sacred. Berkeley, CA: Conari Press.